Italian Pesto is part of the Italian cooking history. Gran Cucina Pestos follows this tradition for over 40 years . 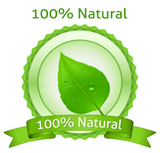 Gran Cucina Italian Pestos are made with only the best Italian 100% all natural fresh ingredients. The Gran Cucina Gourmet Pestos are home made pestos, cooked in an artisanal way. They taste fresh and you can smell the herbs and the fresh nature once you open the jar. Ideal to cook with meat, pasta, vegetable soups and boiled meat. The Gran Cucina Pesto in Salsa is made with the traditional Pesto Genovese and all fresh Sundried Tomatos. The Gran Cucina Pesto Genovese is made with fresh Basil and fresh Garlic. The Gran Cucina Tomato Pesto is made with Pesto Genovese and fresh natural Tomatos. 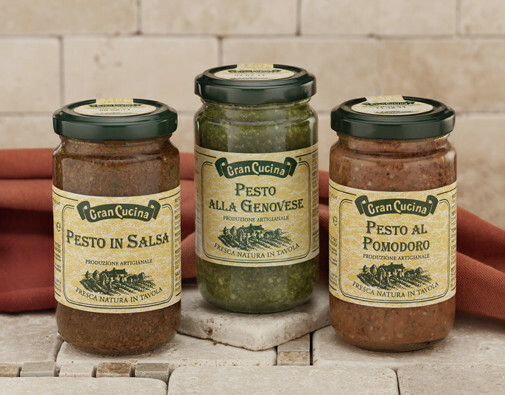 Gran Cucina Italian Pestos will give a very special flavor an aroma to your meals , The Gran Cucina Genovese Pesto is ideal for pastas and may add a touch of light spice to sauces and meats before they are cooked. The Tomato Pesto can be used for sauces, antipastos and to add a rich fresh tomato flavor to sauces and any recipe. The Gran Cucina Pesto in Salsa will give consistency and a light sundried tomato flavor to sauces, soups or can also be used as an antipasto. Try the best Italian Pesto in the market today: the Gran Cucina Pesto alla genovese, the Gran Cucina Toamto Pesto, the Gran Cucina Pesto with dried tomatos or Pesto in Salsa.